“Digital Nomad For Refugees”- A New Arabic Blog Has Launched! So…I have finally launched the new Arabic blog on this weekend! 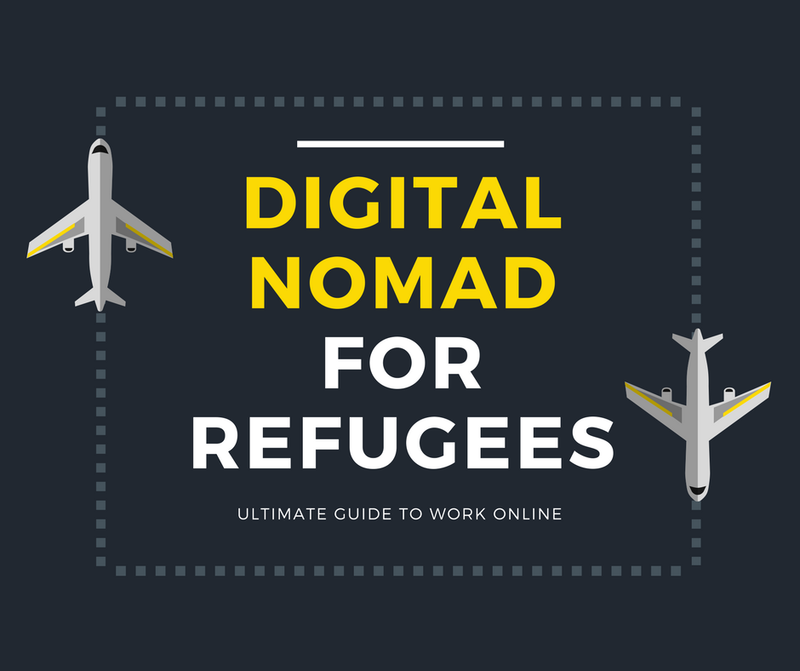 The blog is called “Digital Nomad For Refugees”, and it aims to spread the idea of Digital Nomad or working remotely. Since I moved to Germany, I have encountered lots of refugees who complain about the difficulty in finding job in Germany. For example, I know a bunch of refugee friends from my German course, and lots of my classmates are worried about the future after acquiring German, because there is a limited job opportunities in some part of Germany (especially in East) . As a foreigner, it is hard to find a “proper job” if you just speak intermediate level of German unless you are very skilled in your profession. Those who are not skilled want to get skilled, so they look for a job. But there is no opportunity opened for them. It’s a problem. So, I thought why not spread the idea of “Digital Nomad” or working remotely so that they don’t have to look for a job in their town, because they can work with companies world widely like me, a freelance translator working with Japanese&European companies from Germany. Through launching the project, I realized that the idea of remote work is rarely recognized among the people from Middle East Asia (except who have already worked in IT industry). I thought it’s such a shame, because what great about working online is that you can even continue your carrier after going back to your own country in case the war ends. So, it’s definitely worth to invest your time and effort to work online. If refugees start working online and work with companies all over the world and earn foreign currency, “Immigrants are taking our job-theory” doesn’t work anymore. They might even create the job opportunity for German people, who knows! Explaining how the online business works was a bit tough when they were completely new to the idea, so I have already hired some Arabic translators on the blog and have them experience how remote work works. By doing so, I could already offer the job opportunity here in Leipzig and also show how it works with an actual example. The New Blog will be in Arabic! Also, I will introduce how you can become a freelancer, how to get started, what kind of service you should use to learn programming and so on…pretty much like what I have been writing on my Japanese blog. On this project, I can make the best out of my former experience. The blog will be all in Arabic, because I especially want to target the audience who are not familiar with IT, those who can’t reach to English information. In Germany, we have some programming courses for refugees such as //Refugees on Rails, however the merit of learning programming and the possibility of being skilled online itself is not widely recognized among refugees. I want to scale the blog bigger and bigger to hire more translators and writers in the near future. I’m planning to do crowdfunding and also call for investment by pitching the idea in the next few month. Any ideas and messages are welcomed! Please share the blog if you think it’s cool, and any messages/suggestions are welcomed! Also, meeting in person is appreciated. I share my schedule below.